Edible Monstrosity, Part I: How old do you have to be to acquire common knowledge? Today I want to tell you a story. But it’s a long story. So I’m going to walk alongside writers like Charles Dickens and Alexander Dumas, and publish it in serial format. Part I: How old do you have to be to acquire common knowledge? When I was 24 years old, I decided to take up baking. Not just dumping a mix, eggs, oil and water into a bowl, but actually baking cakes from scratch. The inaugural occasion was to be my best friend’s 25th birthday. 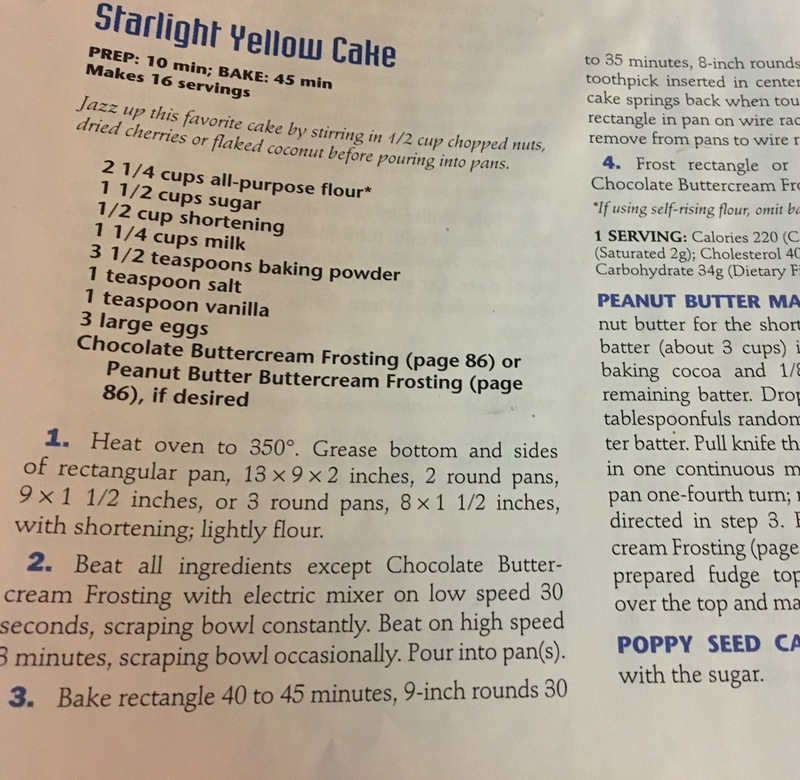 I decided I would bake her a yellow cake with chocolate frosting from a recipe in the Betty Crocker cookbook my mother had given me. And I decided I wasn’t going to bake some plain old sheet cake. I was going to make a round cake with frosting in the middle, and I was going to make my own frosting. 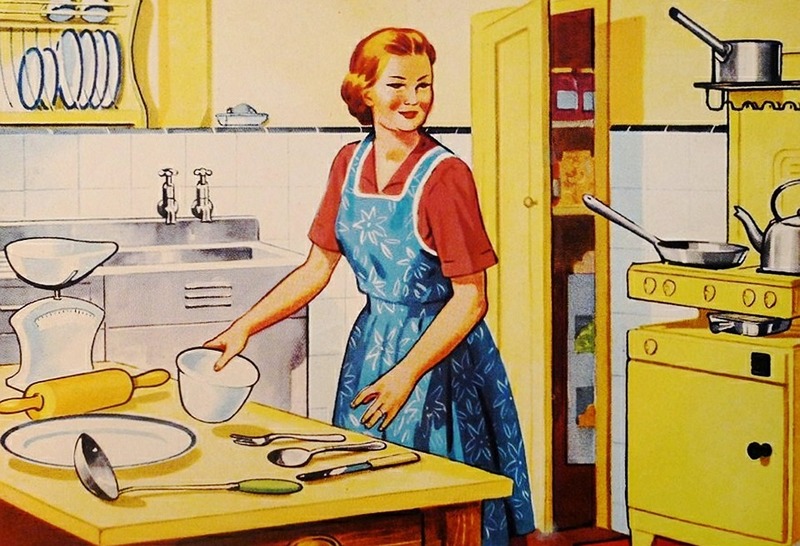 I got home from shopping a bit late and so was scrambling to get Betty out of the cupboard, dust her off and find out how to make a yellow cake with chocolate frosting. Then I poured it into one of my 9-inch pans. It came up to about an inch under the rim of the pan. “I don’t have enough batter to fill both pans,” I said aloud to myself in an empty kitchen. I looked back to Betty, but she offered no help. Find out what happens because Step 2 isn’t detailed. So after examining the recipe for a few minutes, I figured it all out in a flash. Satisfied with my logic, I dutifully whipped up a second batch of batter and poured that one into the other pan. I popped them into the preheated oven, set the timer for 30 minutes and turned to making frosting while waited with the utmost satisfaction for my cake to be done…. If you’re a baker, you can see the flaw in my plan from across the room. Cake batter rises. It needs room to rise in the pan, which is why you divide the batter between the two pans, filling them about halfway. I know that now, but notice how the recipe completely omits that instruction. Betty made a mistake. She assumed I would know that you divide the batter between two pans, but I didn’t. She figured I needed to be told not to mix in the frosting recipe with cake (well, duh! ), but not to divide the batter. One person’s “common knowledge” may be another person’s brand new information. Avoid making the same mistake Betty did. Never assume your prospects, customers and website visitors will know what to do. Provide clear steps, detailed instructions and guidance to help them choose you as the solution to their problem. Download the recipe for creating your own cold prospect indoctrination strategy here.